A call option on a stock is a contract in which the seller agrees to sell shares at a promised price if the share price remains above the strike price at which contract is made. If the share price remain below the strike price on expiration of the contract the seller gets the premium received free. It is this free cash that prompts the speculator to write such contracts. More over his risk is reduced by the premium on hand. For example an option seller who sells MSFT at 25 strike price receives $2 premium. Therefore his loses start only when MSFT closes above $27 on expiry. 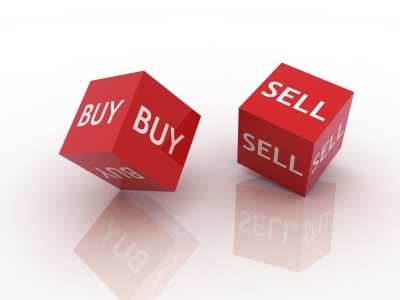 However the seller often forgets that he is buying the risks of some else who may be more knowledgeable than him. However selling call options looks slightly better than buying a call option. But there is a higher risk lurking behind the seller. Share price of MSFT can move up above $25 to any higher price within the period of contract. For every dollar rise above 27 the seller loses 100 dollars because one lot of an option contract is 100. There is no limit to the losses. Therefore a seller of a call option is required to provide ample margins to the exchange to avoid default in case of big flare up in prices. Under normal conditions big flare up may not occur. However nothing is impossible in stock markets and a seller of such naked call options will face an uncontrollable price rise once in a while at least once his life. This results in heavy losses and he will probably lose all his profits and capital in one such incident. Therefore selling call options as a speculative activity should never be done. It should be noted that the seller is assuming a direction when he sells call options. That is why it becomes a speculative activity. However, selling call options can be a very profitable activity with no risk, when it is done with the asset in hand. Suppose an investor has 1000 MSFT in his possession, bought at $25. He can sell 1000 calls at strike25 for a premium of $2 now. If MSFT remains below $25 on the day of expiration he gets the premium free. Then his cost of MSFT becomes $23. This can be repeated any number of times. An astute option trader may even make his cost of MSFT zero by this method. Suppose MSFT closes at $30 on expiration at some month. Then the option trader sells his shares in the spot markets at $30 and pays the derivative exchange $5 as his loss. However he has received $2 as premium on the calls bought. His profit is limited to $2. Clever option sellers select strike prices in such a way that chances of shares moving over their strike prices are made very unlikely. For these option sellers, option premium is a steady income every month for an asset that remains in his account. This type of call option selling with asset in hand is called Covered call. When an option seller resorts to this strategy his margins are not much because there is no risk of default. There are millions of households that have good shares kept as investment. These house holds can make steady income by selling covered calls. Most of these house holds refrain from such activity due to ignorance or due to fear of losing their shares. It is wrong to think so. Shares are bought to get capital appreciation. A covered call writer never sells his shares at a loss. More over there are strategies to make money from cash received from selling the shares. It will be explained at a later stage. It should be noted that a covered call is initiated when the share price has a limited chance of going up much. If there is a big flare up in prices the shareholder will lose his potential profits. However, no one has lost by booking profits. Therefore covered call strategy should be executed by all share holders. Gradually he will find the cost of shares becoming nil. As he has shares in hand he gets dividends, bonuses and splits. It is easy money without effort. Options are derivatives as they derive their value from other assets. Options are also used to reduce risks in asset markets. There are excellent methods to reduce risks by using calls. As has been explained before writing naked calls is a very risky strategy. However speculators often do that lured by the easy money. There is a method to reduce the risk in naked calls by buying calls at a higher price. Let an option writer sell 1000MSFT calls at $2 at the strike price $25 with out possessing the shares. The derivative exchange credits $2000 in his account and asks for a huge margin as the risk in this position is unlimited. To reduce this risk let the option writer buy 1000 MSFT calls at 27 strike price paying $1. If MSFT remains below $25 on the day of expiration the seller of the options gets $1 per share as profit. If the share price at closing is above $27 the option writer loses one dollar per share, whatever be the rise. Here his loss is limited to $1000 by buying the calls at 27 strike price. As his maximum loss is $1000 the exchange collects only $1000 from him as margin. When such a strategy is executed the option seller assumes a direction to the movement of share price. He assumes that MSFT will fall. In such a case his maximum profit is $1000 and maximum loss is also $1000. Most often maximum losses will be more than maximum profit. More over the chances of MSFT remaining below $25 is often less than 50%. Therefore executing this strategy is not wise. When one execute a strategy one should have a pay out ratio greater than 1.Also the probability of getting profit must be greater than 50%. Still many experts advise this strategy. This strategy is called a bear spread. The name comes up because the seller expects the share price to fall. Most of the speculators are reckless and assumes a direction to the market. Some times he may be correct and more often he may be wrong. Most reckless speculators buy and sell future contracts depending on their assumed direction. If they feel that market is bullish they buy future contracts. Here the losses can be unlimited if markets crash unexpectedly. Most of the losses from crashes result from over night positions. The losses from such positions can be reduced by selling calls. For example let a speculator buy 1000 MSFT futures at $25. He can lose a lot of money if the share price falls. However the speculator can sell 25 strike calls at $2on MSFT against the futures he bought. If share price falls he is protected by this $2 cushion. It is an 8% cushion which is quite reasonable under normal conditions. If a speculator sells 1000 futures contracts on MSFT at $25 he can lose huge amounts if share price goes up. He can reduce his losses by buying calls at 25 strike paying $2.If share price falls below $23 he gets profits. His maximum loss is limited to $2 per share. Many speculators buy calls when they are moderately bullish on a stock or an index. He will lose his premium paid if the share price remains below his strike price on expiration. With speculators this happen more often. His losses can be reduced by selling calls at a higher strike. For example a speculator buys 1000 MSFT calls at 25 strike paying $2 premium. If the share price remains below 25 on the day of expiration he loses the investment. He can reduce the loss by selling 1000 MSFT calls at strike 27 receiving $1 as premium. Then his maximum loss is limited to $1000. This strategy is called bull spread because the option buyer expects the share price to go up moderately. In all these strategies the risk reward ratio is below 1. Probability of getting a profit also is less than 0.5. Therefore these types of strategies are not advised. However most of the experts recommend these strategies without any accountability about the outcome. There is a strategy named ratio call spread which is a modification of bull spread using calls. Here a speculator buys an out of the money call and sells twice or thrice the number of the first call. Suppose a speculator buys a call at 27strike price on MSFT when it was trading at a spot price of 25 paying a premium of $0.75.He then sells two calls at a strike price 29 receiving a premium of $0.5 each. If MSFT closes below 31.25 there are no losses. It looks like a very safe strategy. Normally it is very safe. However when share prices move above 31.25 losses can be prohibitively high. It can happen once in a while causing immense damage. Losses can be unlimited if big moves appear over the period of the contract. Hence these kind of strategies are never advised by prudent strategists.